How should Christians live in what is still an affluent society? What should be their attitude to money and to possessions ? How far has the welfare state relieved the church of its obligations ? Is anything short of a complete renunciation of possessions a compromise with Christian teaching ? While the experience of the early church cannot be applied directly to our modern situation, it is by no means irrelevant to these questions. 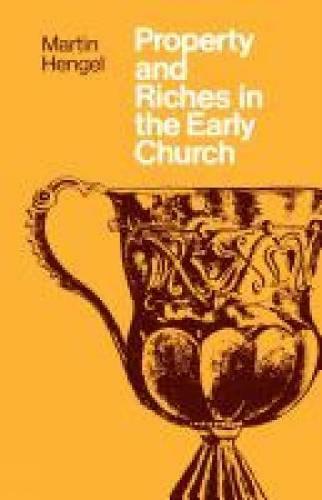 In a brief and lucid study, Professor Hengel looks at the views of property and riches to be found in the teaching of Jesus, the early church and Christian fathers down to the fourth century. He compares Christian ideals with those to be found in Judaism and ancient philosophy, and sets what was taught alongside what was achieved in practice. A final chapter summarizes the relevance his book might have to Christianity today, and an annotated reading list indicates how further study might be carried on. Martin Hengel, author of the monumental Judaism and Hellenism, was Professor of New Testament and Early Judaism in the University of Tuebingen.